Along with his future plans for the news site, Gawker CEO Nick Denton shared with PRWeek how the company is managing its reputation. 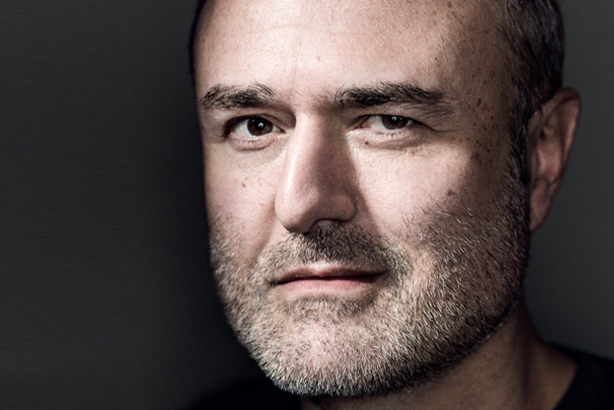 Gawker CEO Nick Denton told PRWeek he is seeking a "humane" editor to man the news site after he had to step in earlier this month to retract a post his editors published outing a Condé Nast executive. Although Denton’s decision led to the resignation of the senior editors, he said via Google Chat he is "glad" the site acknowledged that the piece was a mistake, and he is using it as a reason to change the tone of Gawker moving forward. Along with his future plans for Gawker, he shared with PRWeek how the news site is managing the negative external view of the company. When did you first have a change of heart about Gawker’s content, prior to the recent controversy? Some people have attributed the change to my own personal life. Whatever the reasons, the signs of a disconnect were there at the start of the year. [Journalist] Glenn Greenwald has noted an exchange that he and I had in January. And there was another thread on Gawker in which one of the writers and I argued about calling newborn babies "scum" – even in jest. But I'm glad we've acknowledged the piece was a mistake [and that] our own processes need fixing. Editors should never be in a position again where they have to resign over such a flawed story. And I never want to intervene so violently again. We will learn from this experience. The debate has already started, in classic Gawker style. The real challenge for a transparent company like ours is this: how to have a vital internal debate, and manage the external impression that the company is in disarray. How are you managing Gawker's reputation in this case? My memos all leak within minutes, so I write them for external as well as internal audiences. Our all-hands meetings are open to the world. Transcripts get out. Tuesday's meeting was live-tweeted. I believe every modern company will need to free its staff to make public criticism, even if that's uncomfortable. Without open internal discussion – civil enough to include the digital introverts, too – there’s no possibility of evolution as an organization. A learning organization is necessarily messy to the outside world. You have said Gawker will be "20% nicer." Can you define what you mean by "nicer?" It will be up to the new editor-in-chief of Gawker to define the site's stance. But we will be hiring someone comfortable with the moral calculus that goes into all editorial decisions. A humane editor would look at this month's story about the media executive and say the news value was not worth the pain caused. Are you afraid of losing the Gawker edge with the new, "nice" content? Gawker was founded because I could see as a journalist how much was left out of articles that are published in newspapers and news sites. So much of what people consume is manipulated, censored, selected, or Photoshopped. Sometimes the journalist is only given access if they avoid certain sensitive topics. Gawker Media sites cover the story behind the story: the real story of what happened. The classic example is the media falling for the story of Manti Teo's dying girlfriend, a metastasizing hoax, as Deadspin showed. And Gawker publishes true and interesting stories that nobody else dares touch: everything from the real story of Hulk Hogan to tales from the unemployment lines. If that part of Gawker is remaining the same, what is actually changing? The changes will be gradual, at least until the new editor-in-chief comes in. As Heather Dietrick, [president and general counsel of the company], said in her note to the Gawker writers, this is a calibration, not a transformation. Gawker has done excellent work this year, from the everyday riffs on news and culture to exclusives on Bill O'Reilly, Hillary Clinton, and others. I assume any editor-in-chief will want to preserve the best of Gawker, and give a respectful burial to those traits now consigned to history. Can you describe a typical Gawker reader? Gawker has one of the most desirable audiences of any web property. The following was built organically. There is none of the bought traffic that dilutes and pollutes other sites' readerships. The peak is in the 25 to 34 age bracket. The typical reader is highly educated, professional, and more influential than their peers. And the credibility of our stories is enhanced by the critical stance that Gawker writers often take. That's reflected in the performance of advertising on the properties. And will you be targeting a different demographic of readers now as part of your changes? No. Young, upscale, influential, digital natives. Same as now. Will the way you work with Gawker change, once the new version is in place? How will you ensure it stays on track? [Dietrick] has taken over newsroom budgets and personnel. And she and I will be interviewing executive editor candidates. But I cannot and should not be vetting every post that goes up, and every writer who is hired. The company has more than 250 people. We need a few defined limits and experienced newsroom management – not a meddling Nick Denton. Describe your ideal newsroom leader. We will be looking for someone with news experience. And for someone brave enough to stand up to critics for a story that's worth it, and brave enough to stand up to writers when it's not. I want someone who won't cave – except to their own conscience. As you hire new newsroom leaders, what will be the key questions you ask during job interviews? Name me a story that you’d do despite the consequences. Name me a story that you wouldn't do because of the consequences. And what's your own litmus test for newsworthiness?